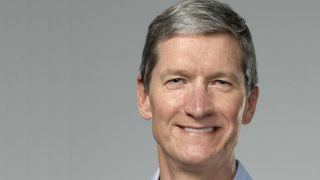 It should come as no shock that Apple CEO Tim Cook is an avid proponent of the Retina display technology used in the latest generations of iPhones, iPads and MacBooks. But what might surprise you is the extent to which he'll pan the OLED displays that competing devices ranging from the Samsung Galaxy S3 to the Nokia Lumia 820 use. Cook told investors at a meeting hosted by Goldman Sachs Tuesday that the color saturation of OLED displays is "awful." "You should really think twice before you depend on the color from an OLED display," he said. While we may not agree about OLED displays (which can often look quite nice, as anyone with a Sony PS Vita can attest), Cook went on to make a good point about the mobile arms race. Whereas many companies compete to get the highest specs on their devices, Apple "sweat[s] every little detail," Cook said. Focusing on the specifics of hardware - which seem abstract at best to your average consumer - is what companies who can't "create an amazing experience" resort to, Cook said. He said he thinks Apple's devices have the "best display" - no surprise there. Superior display technology isn't all Apple has going for it; according to Cook, the Cupertino company paid $8 billion (UK £5.1B, AU $7.8B) to app developers over the years. Apple's app store has been incredibly successful. CNET reported in January that app store downloads passed 40 billion, 20 billion of which were in 2012, and as of October there were 700,000 apps available for download. "We built an ecosystem that is the best customer experience on the planet," Cook said during Tuesday's meeting. According to CNET's January report, app developers had made $7 billion (UK £4.47B AU $6.79B) from the app store. The meteoric rise of that number could be an indication of Apple's "enormous momentum," which Cook attributed to the aforementioned ecosystem.